Interviews are very crucial if that is your dream job, the fear of losing this might ruin your interview. 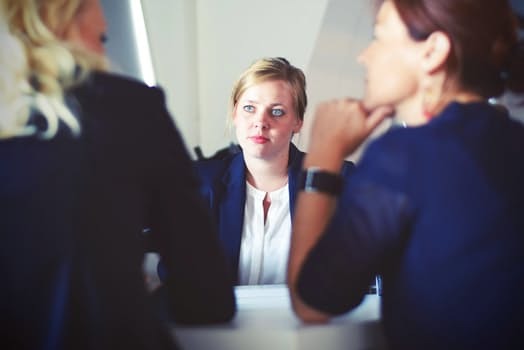 We often make these silly panic mistakes during an interview which gives out negative signals and chances are that the interviewer might think you are not capable enough of this. There are many good websites guiding you about different things on how to behave and what to study for an interview here, but here are some 5 big mistakes that one must avoid during an interview. Other people are reading : How to Make Deadline Less Stressful and Easy. One must know that they should be completely prepared and that all includes working on your profile and academics as well working on the company profile, industry and the vision as well as mission. These two are the key aspects while interview. The companies hire employees whose vision and mission matches theirs, so be well prepared with it. Punctuality is one of the primary factor which plays a role during an interview. Being late brings a negative impression to the interviewer. If you cannot value your career and balance your day schedule how will you manage the extreme work or position they are offering you in their company? Body language shows and displays the confidence level you have, make sure that your body language is positive. You have a firm handshake if you have any. You do not sit with crossed legs and there should be a sweet decent smile on your face at the time of entry. Well picking a call during an interview is not an offense though but avoid them to a level. If there is an urgent call and you have no options other than picking then make sure you properly excuse yourself before an interview with their prior permission and only then pick up the calls, this shows mannerism. Employers always want to know the previous job experience of yours, you must know how to express your previous journey and give a legit reason to shift to this new job. The main reason behind this is they want to know that if you skip jobs on purpose or have legit reasons and how was your behavior previously. These 5 things are very important points one must keep in their mind while you are going for an interview, along with other things like a proper resume and correct answers they are big factors playing a good role in your interview. Do not take these 5 points lightly as they are important even for the employers. They note them all down and judge you over all. Interview is not just set of correct questions and answers but they even judge your behavior, your personality and your confidence level. This is more of a personality test and you can excel this only when you work for every point with equal importance with your academics and knowledge.